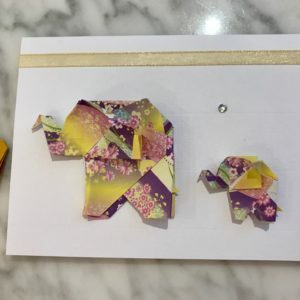 A set of either 2 or 4 mini summer origami fan cards. They are lovingly handmade from Japanese silk Chiyogami, summer inspired patterned paper. 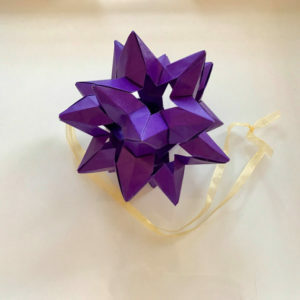 A set 4 mini summer origami fan cards. 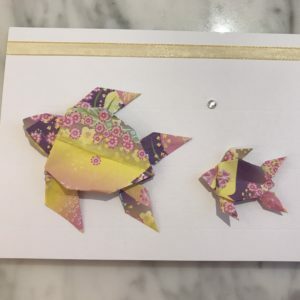 They are lovingly handmade from Japanese silk Chiyogami, summer inspired patterned paper. There is a small jewel just below the fan for extra detail and sparkle! 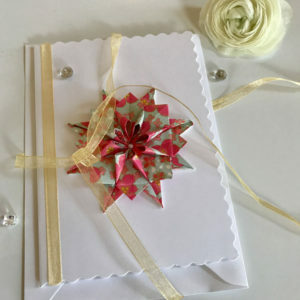 These summer cards will make a unique birthday or greeting card to someone special. The inside has been left blank, ready for your own personal message. 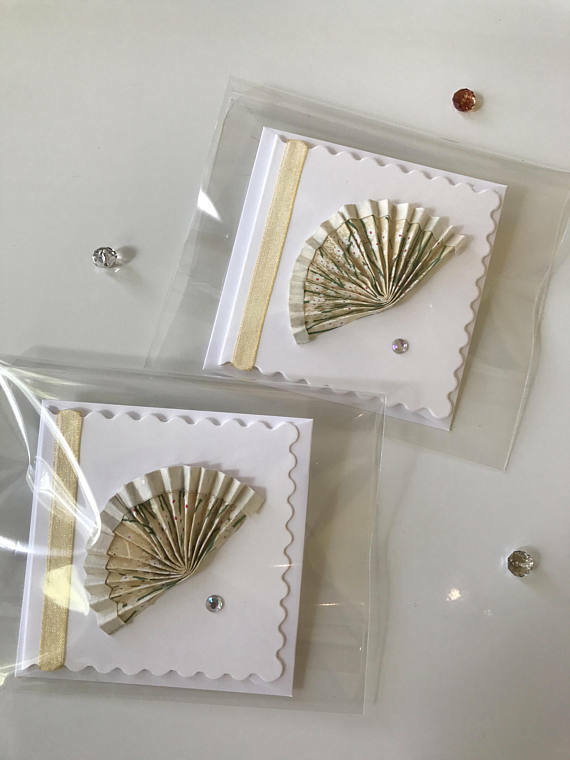 Each scalloped edged card comes complete with an envelope, measures 7.5cm x 7.5cm, is decorated with a delicate gold ribbon and has been put inside a plastic card holder for extra protection.